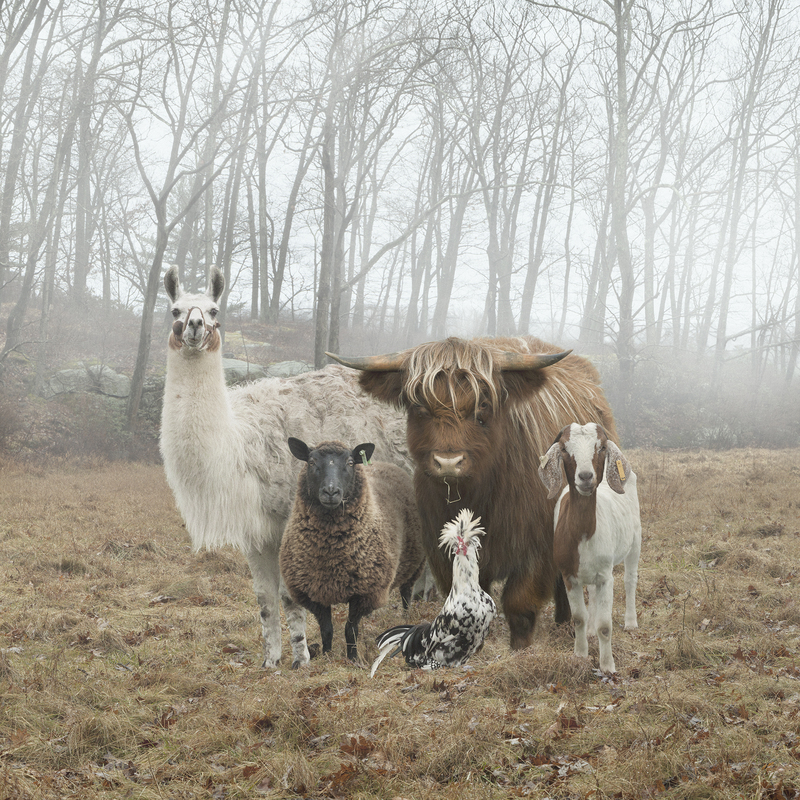 In an interview with our galleries, Canadian photography wizard Rob MacInnis describes his approach to composing group portraits of farm animals in a way that “intoxicates the viewer” with an immediate, sympathetic response. 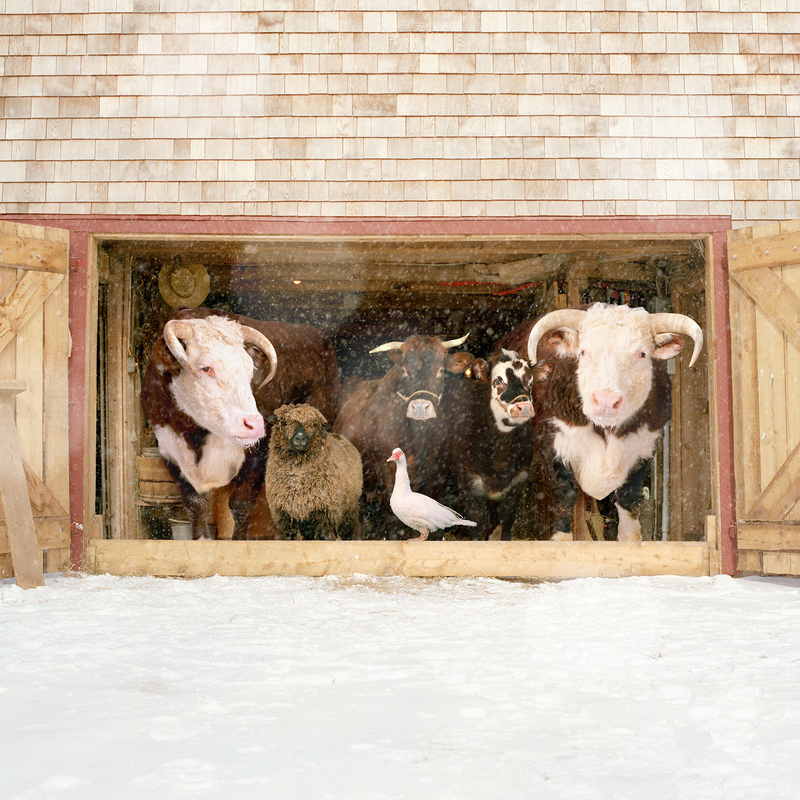 MacInnis pushes the boundaries of reality with his imaginative arrangements, offering a unique ambiance and lens to animal portraiture. RM: I’ve never been able to answer this question to any degree of accuracy, as quite honestly inspiration is an elusive thing. What makes me passionate and eager to engage are certain hypocrisies in our society and injustices hidden from sight. I am inspired by other art makers who are not only able to identify these issues but create beautiful artwork commenting and critiquing their prevalence. 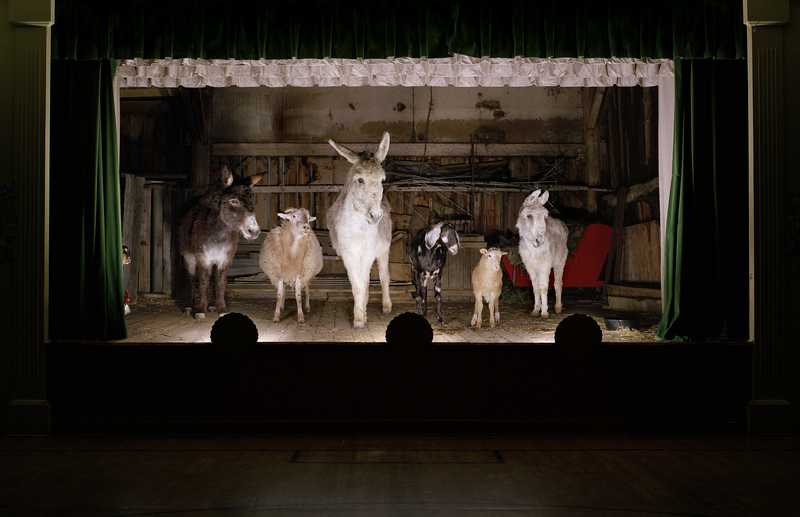 RM: I make photographs of farm animals using methods designed to intoxicate the viewer and overwhelm them with sympathy. They are designed to question our own impulse to eagerly accept the reality we desire, even while knowing it cannot be true. RM: My studio is everywhere as taking photographs in the “field” is an obvious fundamental of my work. My working studio tends to be my laptop, wherever I may be. RM: Art with a capital A began when I decided on the fly to start taking classes at the Nova Scotia College of Art and Design in Halifax, Nova Scotia. It was down the hill from where I lived and I had no other idea of what to do with myself. I was making film and music in high school which never became a method of creation I could find my voice within. 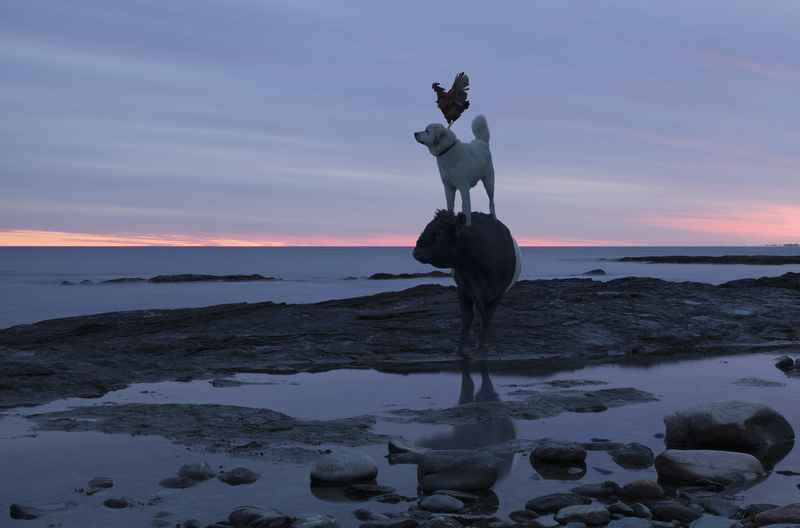 NSCAD enabled me to be as ridiculous and serious as I wanted to be. RM: My Canadian shyness makes this a tough question to answer. I have been told by many collectors that they have never seen animals depicted in this particular way. RM: It start out with trudging through dirt and poop and hanging out with animals on farms, rain or shine for certain periods. Then over and over trying to find something interesting I can make out of the photos. And honestly its a lot of looking up at the ceiling and wandering in my own head. RM: I’m an imitator, so with every piece of media I encounter slowly creates a critical picture in my mind. My biggest problem is that I’m interested in too many things and I spend alot of time trying to distill, distill, distill. But to be specific, I rarely finish watching a Coen Brothers, Stanley Kubrick or Monty Python movie without feeling elated. RM: I hope they realize their act of looking. 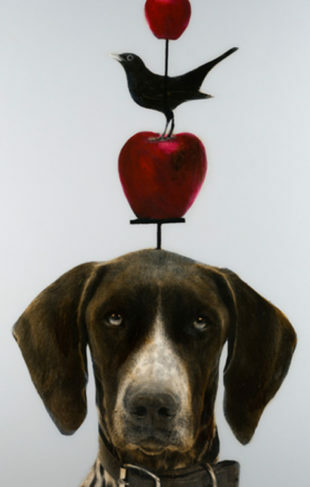 I want the animals to represent the misunderstandings between all beings. RM: It’s expanded from a simple imitative concept to an effort to create a world for these animals. The photographs began as simple products of critique and I struggle to make a definitive style for the photos – a style of their own. Is there anything we haven’t asked that you would like to express to the viewer/collectors? RM: The question of how I made these photographs seems to be a universal wonder of every viewer. I encourage everyone not to expect answers to literal questions, but instead to embrace the mysterious and find their own meanings in the experience I have offered.